In a world where morality and values are suffering, where women are more disconnected from one another than ever before, where young girls & boys need sisters and mothers who will guide them in truth and where older women need spiritually fit friends to confide in and seek guidance from. 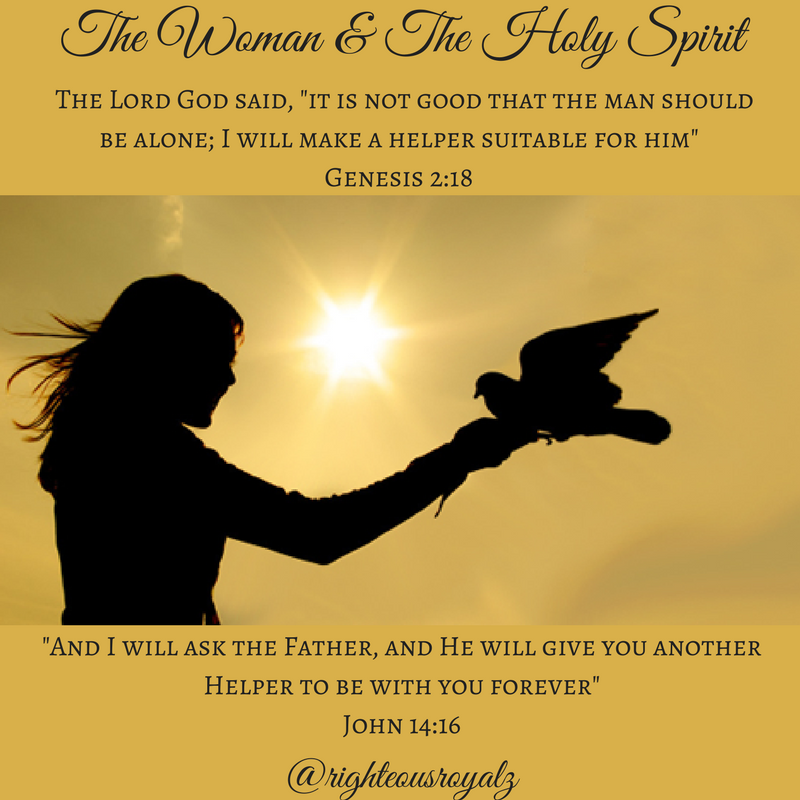 In a world where children are dying daily, where young girls have turned to prostitution to survive, where human trafficking is on the rise, where men violate what they were meant to protect there is an urgent need for strong, humble and God fearing women. 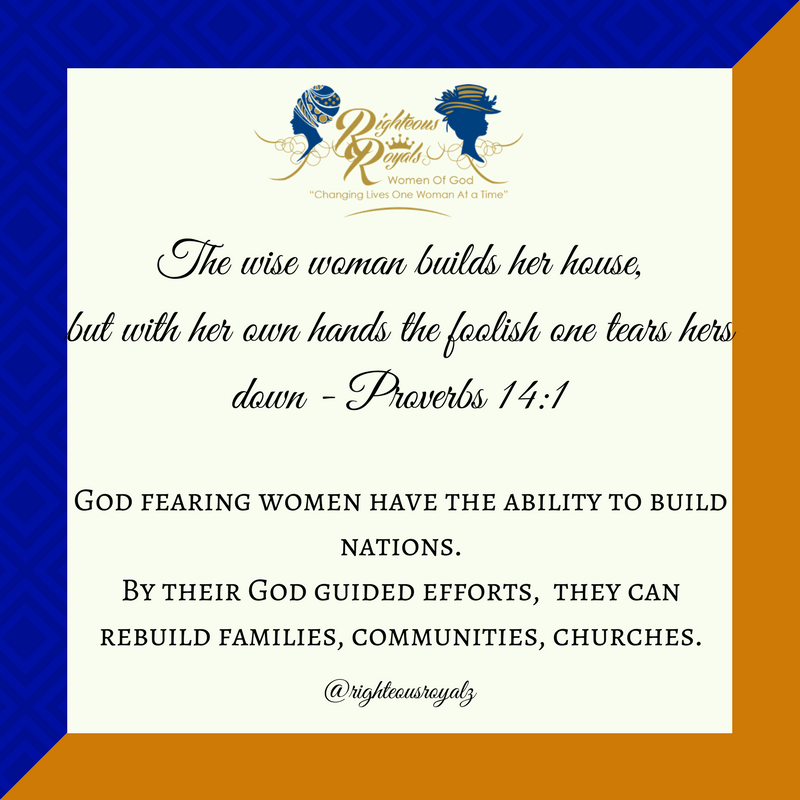 Righteous Royals - Woman of God presents itself as an opportunity for women to study Gods word and to apply it to build natural mentoring relationships and strong peer relationships. This is an opportunity to bring back balance in the world by positively harnessing and building on the naturally embedded characteristic found in women, the ability to influence. It is our belief that if we can reach the woman, then we will reach her entire family. To create disciples of women and to restore the roles of women in the family, the community and the church. Produce inspired women of substance, who are guided by the principles of faith, love and hope. To teach the word of God from a woman’s perspective, encouraging women to see themselves through the eyes of God. To apply lessons from the word of God to remedy the challenges that women face daily in their homes, careers, community and church. To create mentors and leaders who will be an example to women all over, young and old. Teach – the word of God to women in a manner in which they will understand and are able to relate to. Every experience, whether positive or negative presents an opportunity to be taught something new which that will make you stronger and all the more wiser. Inspire – purposeful living in each women we encounter. To evoke excitement of the mind and emotions in every women to a high level of feeling & activity. To use the word to provide divine guidance. Impact – lives of women and through women, to make a significant, lasting, meaningful difference in the lives of those we meet. Creating God centred mentors, role models, leaders, mothers, wives and daughters in every woman we meet, changing lives one woman at a time! There is a higher power above us all, who has purposely placed us where we are and whose purpose, according to John 10:10, is to give us a rich and satisfying life. The answers to the problems in our families, our communities, our churches and our government, the answers to the malfunctions of the world lie in our creator, God. I have learnt that by aligning myself with the creator, I automatically began to take my rightful place, to live, to find purpose. “…letting the spirit control your mind leads to life and peace.” - Romans 8:6. I hope that the Women of God chapter of Righteous Royals will inspire every women to a purpose driven life.